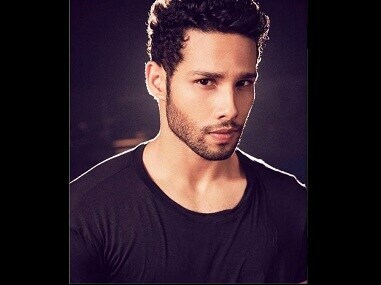 Siddhant Chaturvedi was well-received by critics for his Bollywood debut as MC Sher in Zoya Akhtar’s Gully Boy. The preparations for IIFA 2017 are in full swing and Alia Bhatt, Varun Dhawan, Kriti Sanon, Sushant Singh Rajput among others have arrived in New York. Vivek Dahiya writes heartfelt love letter for wife Divyanka Tripathi, Alia Bhatt, Jacqueline Fernandez and Varun Dhawan show us their dance moves. Alia Bhatt will be seen next in director Meghna Gulzar's espionage thriller titled 'Raazi'. Alia Bhatt and Vicky Kaushal to star in Meghna Gulzar's film about 1971 India-Pakistan War? Vicky Kaushal is likely to star opposite Alia Bhatt in Meghna Gulzar's next film based on Harinder Sikka's book Calling Sehmat. Karan Johar says he requested Imtiaz Ali to cast Alia Bhatt in 'Highway', which required a mature performance in the lead role.